High-end in style and features without a high-end price tag, the Toyota Blade is a prime example of affordable luxury. 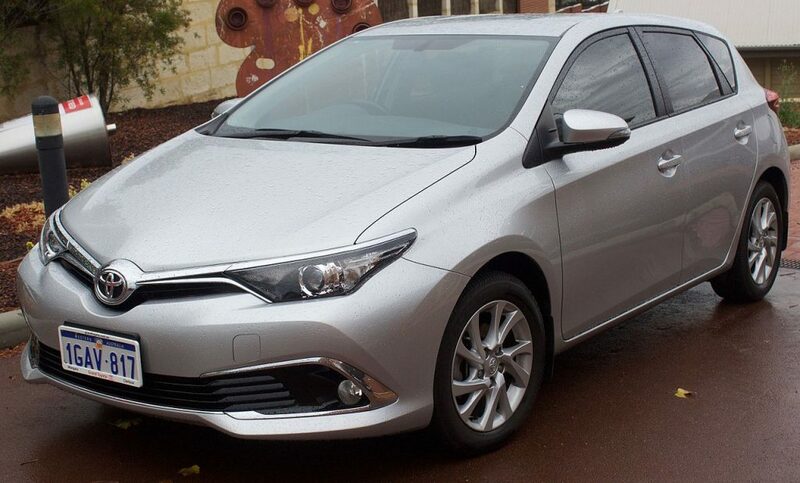 The Toyota Blade finds its fanbase amongst lovers of the Corolla and Camry. It shares a similar design, both in terms of its mechanics and visual specs. The Blade was originally designed as a high-end version of the Toyota Auris, which follows the same design basics as the Corolla and Camry. Later editions of the Blade and Auris were actually released in European markets as a replacement for the Corolla when it was pulled from Europe. Its success in all of its available markets and the feedback from owners suggests that designers were able to combine the favorite elements of the Corolla and Camry into the shiny packaging of the Blade. The main goal of designers was to provide a high-end vehicle with all the fixings at an affordable price. In terms of visual appeal, it has a sleek compact design that often is responsible for drawing the attention of potential buyers. The hatchback style of the Blade is there to provide a sporty element, with the hope that it may appeal to customers who lead busy and active lives. It also aims to appeal to small families that want to have a reliable and friendly vehicle without compromising on style. Features-wise, the Blade does not skimp in terms of availability. It is versatile in terms of compatibility, which makes it easy to adapt features from other models for the Blade. It was discontinued in mid-2012, but most of Toyota’s offered features are still compatible. Most of the ones that were made strictly for the Blade are top of the line and focus on luxury. Functionally, it continues that luxury and is often seen as a very smooth and quiet for occupants. Updated versions of the Blade, like the Blade Master and Blade Master G, worked on bringing mechanical aspects such as the brakes and suspension up to the same level that Toyota’s competitors were offering. The suspension, which was a bit lacking when compared to other similar Toyota models, was updated, and the brakes were expanded. Basically, Toyota’s engineers and designers pulled a full overhaul for the Blade’s later versions to amp the quality up even further. The biggest issue with the Blade is that it has too much competition in Toyota’s similar models. Its flashiness has actually worked against it at times, as some have cited concern that it may draw unwanted attention that will result in theft. As a result, most Toyota dealers find that their sales for the Blade when it was still being produced were small compared to sales for Corolla and Camry models. Another issue with the visual design that occasionally acts against it? The sporty aspect of the Blade’s design cuts into the sleek design that Toyota was aiming for, with many people remarking that it looks too bulky for its intended design. It’s an opinion that is largely divided based on whether buyers went for the Blade for its style or for its ability. The Blade’s interior features a floating console, which is almost too physically thick for it to be functional. Accessories and features that are near the console, like storage space, are difficult to access and are basically rendered useless. It looks nice and adds to the flash of the Blade, but for all intents and purposes it’s rather unnecessary for the functionality of the design. The standard view on the console, specifically, is that Toyota attempted to copy a design feature from Volvo and then failed miserably. As beautifully as the Blade has been known to handle—another similarity it shares with Camry specifically—it has a very high center of gravity. More often than not, this has a HUGE effect on the Blade’s handling and turning capabilities under certain situations. Before the mechanic updates with the Master and Master G models, the Blade’s suspension was seen as too soft for it to reach the high speeds that most luxury cars are able to hit. Toyota’s push to label the Blade as an inexpensive luxury vehicle put a lot of expectations on it, almost too many, and the end result was some very disappointed customers.